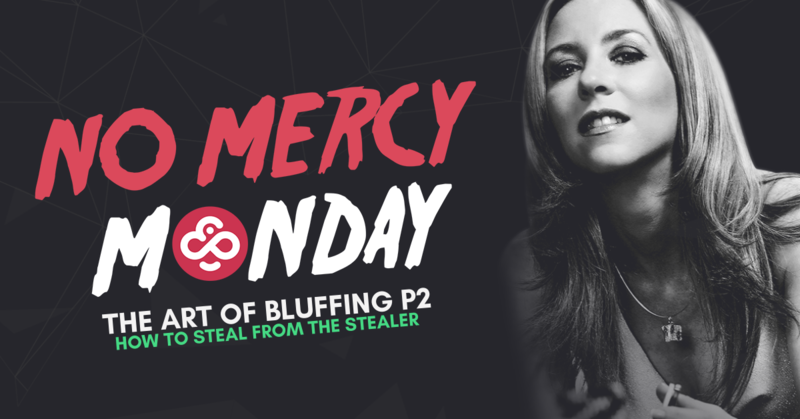 We are now studying a fun chapter regarding the art of bluffing, which is what makes poker so exciting! Last week we took a look at the story you are telling while playing a poker hand, and we will now go over some classic poker bluffs. Here is a classic, common and easy bluff to make. It generally works best when you are sitting in late position or in the blinds. I like to call this bluff “stealing from the stealer”. This possibility of bluff will present itself in many situations. For example, when you are sitting on the button and the only raise before you came from the player sitting in the cut-off; it may be a mere attempt to steal the blinds. In a case like this, a decent 3-bet will often enable you to win the pot right there. Another classic case will be when you are sitting in the blinds and you are facing only one raise coming from the cut-off player or button seat. Most of the time, this raise is a plain shot at stealing the blinds, and the best way to fight against that and to protect your blinds is not to call that raise, but to re-raise the stealer. There is another concept called “continuation bet” that we will study later on in a future chapter on aggressiveness, that also comes into play here in the classic bluffs section. Indeed, when a player raises before the flop, it is expected from him to continue his attack by betting on the flop. There will be a lot of opportunities for re-raising there, and winning the pot from an opponent that did not connect with the flop but simply applied the continuation bet theory. Make sure you keep your eyes open to spots moments where a player may be trying to steal a pot and use these tips to steal them right back. Join me twice a week in the Hubble Bubble tournaments to practice your skills and try to win my 5000 CHP bounty!